Reitzle spent 13 of his 23 years with BMW on the executive board. MUNICH -- Wolfgang Reitzle, a former No. 2 executive at BMW AG and one-time head of Ford Motor Co.'s Premier Automotive Group, is poised to become chairman of Continental AG's supervisory board. Continental announced on Wednesday that Reitzle is ready to take the position. The Continental supervisory board will have to vote on the appointment to make it official, but this is considered a formality. Current chairman Rolf Koerfer plans to give up the position. He will continue to be a member of the board and a member of the chairman's committee, Continental said. To make room for Reitzle, Michael Frenzel will leave the board. He said he wants to dedicate more time to his full-time job, which is serving as chairman of the executive board at German travel specialist TUI AG, Continental said. A spokesman at Linde AG confirmed Wednesday that Reitzle, 60, will continue as CEO of the German industrial group. He joined Linde after leaving Ford in 2002. In its release on the changes, Continental gave credit to Schaeffler Group, its largest shareholder, for getting Reitzle to agree to take the position. In a separate release, Maria-Elisabeth Schaeffler, co-owner of the German ball bearings maker, said: "We are very pleased that we have been able to persuade Professor Reitzle to take on this challenging mandate. He is the ideal person to tackle the tasks ahead at Continental AG. His profound knowledge of the industry and his international entrepreneurial experience are excellent prerequisites for this post. We have complete trust in him." Last month, German weekly magazine Der Spiegel reported that Reitzle turned down the position and that former Volkswagen AG CEO Bernd Pischetsrieder was Schaeffler's second choice. It is not the first time the two powerful German executives have been on the short list for the same job. 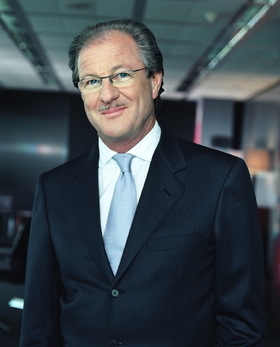 In 1993, Reitzle was passed over when Pischetsrieder was named to succeed BMW CEO Eberhard von Kuenheim. Reitzle had another shot at CEO in 1999. Pischetsrieder was ousted, but worker representatives on BMW's supervisory board wouldn't accept Reitzle. So he quit. A few months later, Ford CEO Jacques Nasser asked Reitzle to run Jaguar, Volvo, Aston Martin and Lincoln as chairman of the new Premier Automotive Group. A year later he got Land Rover, too. Reitzle walked away from Ford in 2002. He didn't like the company's austerity measures and inside politics. If he gets the job, Reitzle will be the third chairman in the last year. Hubertus von Gruenberg left after clashing with Schaeffler. Koerfer, a Schaeffler appointee to the board, is being replaced because Continental and Schaeffler want an independent person as chairman. Continental ranks No. 3 on the Automotive News Europe list of the top 100 global suppliers, with sales to automakers of $25.0 billion in 2008.